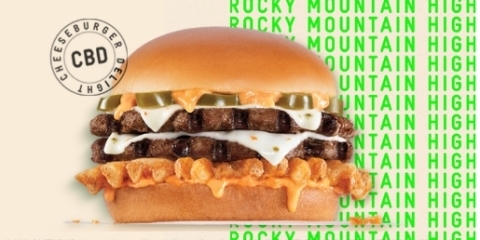 Carl’s Jr.®, known for impossible to ignore flavors and craveable menu items, today announced it will be testing its latest menu innovation the Rocky Mountain High: CheeseBurger Delight (CBD) for one day only on April 20th at one Carl’s Jr. restaurant location in Denver. Follow Carl’s Jr. on social media for the latest product news and promotional offers. More news and information about CKE Restaurants Holdings, Inc.